Following the departure of Rebecca Paddick in 2018, Wildfire is thrilled to welcome its new managing editor, Paddy Smith. 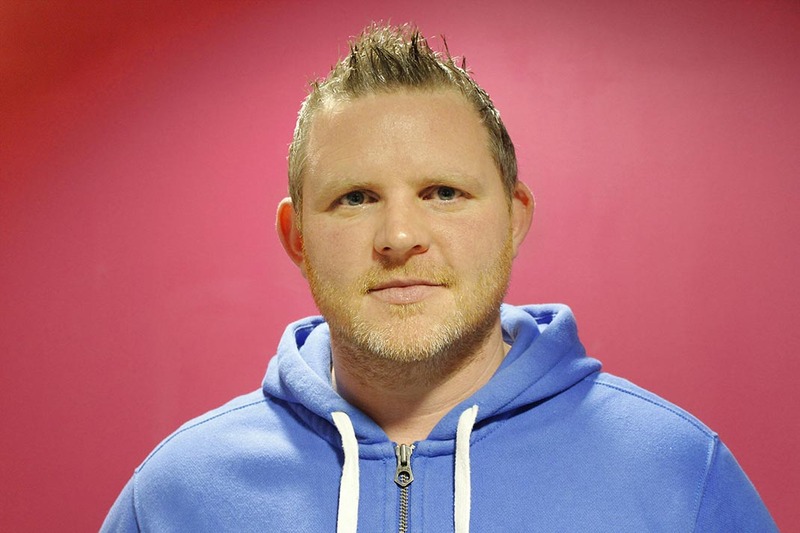 Paddy has spent the past 10 years driving digital development in publishing, first at consumer gadget magazine Stuff and more recently for ‘actor’s bible’ The Stage. During a two-decade career he has worked in TV, radio, newspapers and magazines, taught journalism and offered his views everywhere from Newsnight to The Sun. In his spare time he plays bass, cooks, reads and tries not to eat too much cheese. 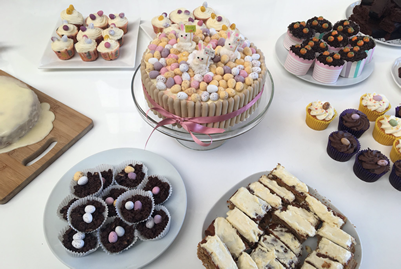 Wildfire has hosted an eggstravagant Eater cake competition, all in the name of its chosen charity, Changes Bristol, which is been running mental health peer support meetings in the city for more than 14 years. 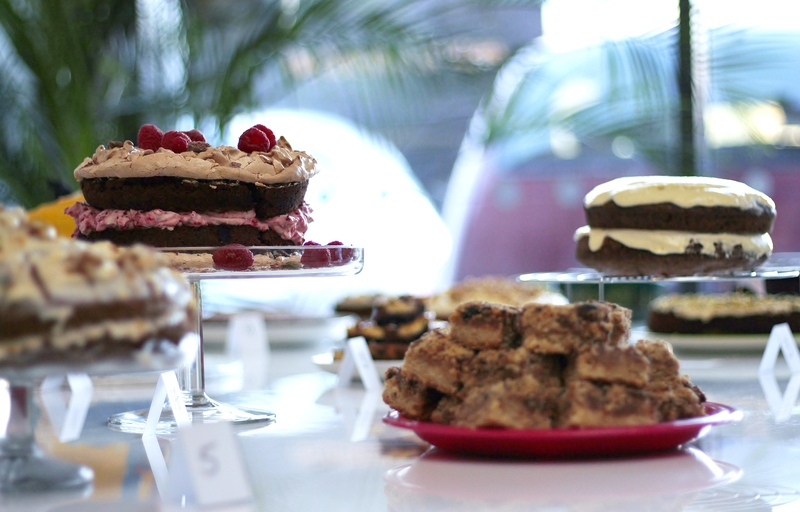 From vanilla and chocolate cupcakes to shortbread biscuits, sponge puddings and brownies, the brilliant bake off had it all. This year’s Star Baker prize went to Production Coordinator James Higgins for his orange sponge offering (creatively entitled Orange You Pleased to See Me). 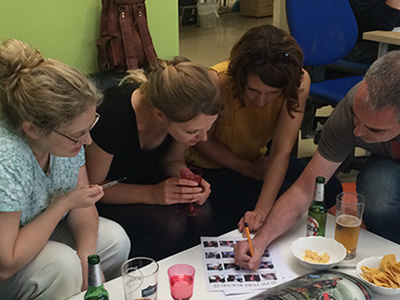 The Wildfire gang recently held a Gin and Quiz night to raise funds for its chosen charity Changes Bristol. 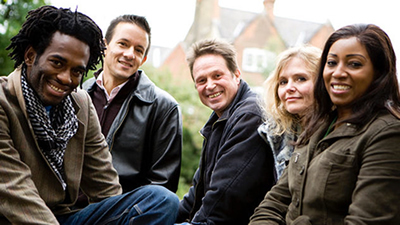 Changes has been running mental health peer support meetings in Bristol for over 14 years. Its meetings are safe places for people to talk about their feelings and to take steps toward improving their lives. 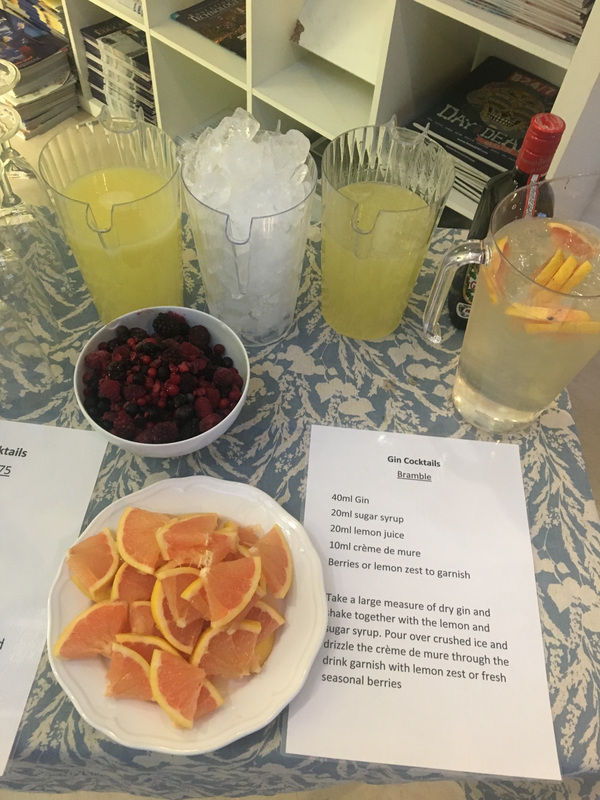 Wildfire’s very own quizmaster Ed Brown grilled the teams before they sampled some of the tastiest gins. Winners GINster Pasties celebrated with a Bramble, a French 75 and a Tom Collins. 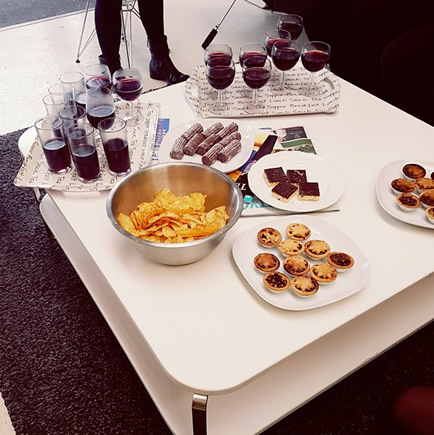 Christmas morning came early at Wildfire HQ today, when the team participated in Christmas-themed competitions organised by our very own Santa Claus, Mary Wilson. 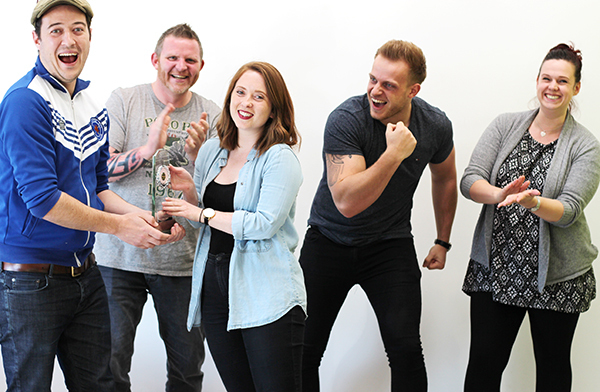 Armed with a festive arsenal of mulled wine and mince pies, the team got into the yuletide spirit and tried their luck to win some wonderfully indulgent, gift-wrapped prizes. Plenty of ‘merry and bright’ gifts were won all round, including some very festive liqueurs, shortbread and Christmas games. Our very own Ed Brown has decided to embrace his inner Rocky Balboa and have a go at 'Gym to the Ring', all while dedicating his efforts to help fundraise for a great charity; Changes Bristol. Check out that fighting pose! 'Gym to the Ring' is a 12-week boxing programme run by professional boxers and coaches – not for the faint-hearted! Ed will learn everything from boxing skills to nutrition fitness and conditioning, from coaches with over 250 fights between them with years of knowledge in fighting and boxing training. At the end of his 12 weeks, Ed’s going to be matched against one of the other candidates to showcase all he’s learned in front of an audience of over 2,000 people – including his supportive Wildfire colleagues. ‘Split Night’ took place two weeks ago, when all the competitors were split into two teams and found out who their opponents are going to be on 11th November. Up until then Ed and the other candidates had been training together and began to learn each other’s strengths and weaknesses. Money raised goes to Wildfire’s charity of choice; Changes Bristol, a mental health charity that provides those in mental distress a chance to talk in a safe, confidential environment and take the first steps towards improving their lives. Statistics show that as many as 1 in 4 people will suffer from some form of mental distress at some point in their lives. Does Ed have what it takes to be victorious and go from the gym to the ring? We’ll find out on the big fight night on 11th November 22:00. Last week the Wildfire working day looked slightly different – it was in sunny Spain! Rob Bertels, University Business Account Manager, enjoyed a day of insight & investigation into edtech at SIMO Educación 2017. The exhibition, organised by IFEMA, was held from 25 to 27 October in Hall 12 of Feria de Madrid. SIMO Educación showcases the most distinguished technological tools, aimed at optimising teaching and learning processes, including proposals involving interactivity for the classroom, solutions for adaptive and collaborative learning, digital content, management and communication platforms, printing solutions, 3D printing, virtual reality and augmented reality, gamification, robotics, programming, touchscreens, projectors and digital pens, and a large variety of other devices and applications for teachers. The Wildfire team will be jetting off again before Christmas to the upcoming Class Conference on November 15th- 16th 2017 in Lisbon, Portugal; part of The Class of 2020, Europe’s leading platform and Think Tank for all topics related to student living. Bon voyage! As a mental health crisis sweeps Britain, it is down to charities to plug the gap in NHS services and provide vital support for people who need it most. Changes Bristol has been running peer support meetings across the city for adults since 2004 and offers anyone suffering from mental distress a chance to talk in a safe, confidential environment and take the first steps towards improving their lives. Project manager Jason Washbourne knows first-hand the extent to which this support network can work to help people turn their lives around..
“I suffered from anxiety and depression,” he said. “I had a real crisis in my early 30s and became completely dysfunctional and I could not work. I recovered, but then started to have a downward spiral and it was hard to access support. The charity that helped him and many others is entirely reliant on the goodwill and generosity of others and unlike most services, users do not require a referral from their GP to attend and there are currently 10 weekly meetings that take place in locations around Bristol. 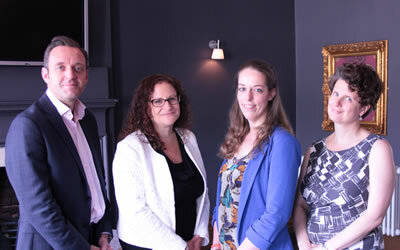 Bristol24/7’s sister company, Wildfire Comms Ltd, is supporting Changes as its charity of the month in a bid to raise money and awareness of the vital work it carries out. Changes trustee Alison McDougall, said: “We’ve already enabled so many people throughout Bristol to overcome their personal battles with mental health in all of its forms, but we know there’s so much more that can be done. During Mental Health Awareness Week, the charity is hosting its own art exhibition, Survive or Thrive, an immersive collection of work produced by Changes members that depicts the struggle to survive with a mental illness in today’s world, through to the positive achievements gained through peer support. Survive or Thrive takes place from May 8 – 12, from 12.30pm – 5.30pm, in the Park Street Vestibule in City Hall. This article is taken from Bristol24/7, they will be featuring a series of articles throughout Mental Health Awareness Week. 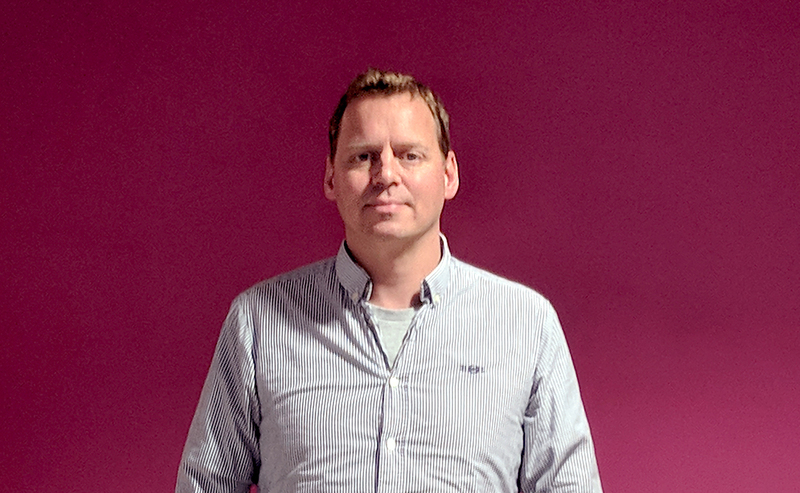 A wealth of experience in digital and print media across the UK, Bruce has already used his fountain of knowledge to put his stamp on a myriad of projects and publications that come under the Wildfire umbrella. 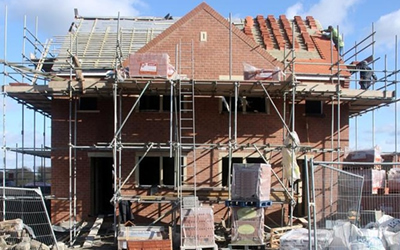 Have a look at our latest projects here. Bringing fresh enthusiasm and ideas from her diverse background that has included TV, print and digital media, Lucinda oversees a number of our most popular titles. Have a look at her most recent issue of Independent Education Today. Sammy has taken the helm of Bristol’s most popular weekly property magazine with the rigour and versatility it needs. Taking on more responsibility each week, you’ll more than likely see her reviewing Bristol’s hottest new restaurants near you, soon. Follow Bristol Property Live on twitter here. If you’re interested in working for Wildfire Comms, visit our careers page to see the latest vacancies. 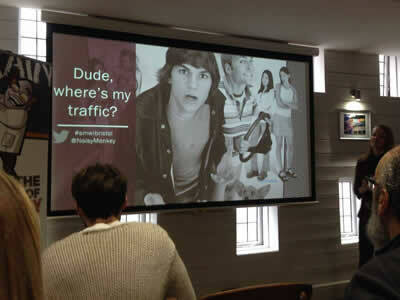 Last week, global conference, Social Media Week came to Bristol for the first time. The SMWi events programme offered a collection of thought leadership masterclasses, a CEO roundtable and tailored social media events covering a range of topics, from analytics, and metrics to storytelling and compliance. By 9:22 am on Monday, #SMWiBristol was already trending nationally. The team at Noisy Little Monkey delivered one of our favourite sessions, providing practical case studies, pastries and a lot of laughs. There’s a lot you can do with Google Analytics (probably more than you’re doing). Use it for hard measures. Set up goals to measure conversions. Whether it’s a purchase on an ecommerce site or submitting a form, this is the kind of data that your boss, board and clients really want to see. Google Analytics is undeniably a vital weapon in any marketer’s arsenal but that doesn’t mean it’s perfect. By utilising other tools to cross-reference GA’s statistics, you can feel confident in the validity of your figures. It may seem obvious, but customer-focused marketing is paramount. We can all get caught up in the daily churn of our marketing activities without considering our specific customer personas. Noisy Little Monkey’s Holly Edwards, summed it up perfectly: “Know thy audience and know thyself.” Don’t flood your audience with pictures of puppies unless you really, really know they appreciate pictures of puppies. Don’t fret over short term data dips. Instead, focus on trends over a 3-month period to get a clear picture. Stay true to your brand and your audience. Attract, convert, close and delight! To see how we do things, take a look at our company video. Wildfire swotted hard for its recent charity pub quiz, held in trendy new destination bar Unit 2:4 (AKA the Wildfire office). With questions on all the latest hot topic, including matching celebrities to their crimes, and a round entitled ‘Death’, the winning team (naturally) consisted of Editors Rebecca Paddick, Hannah Oakman and Nick Valentine, along with Director Mary Wilson in a ‘supporting’ role. Most importantly, the combined quiz and charity auction raised £500 for our office charity Caring in Bristol. A great effort all round! On Sunday 15th May, the Wildfire Warriors triumphantly completed the Great Bristol 10K 2016, raising over £1,000 for homeless charity, Caring in Bristol. Our team of 11 joined the 12,000-strong crowd taking on the 6-mile challenge, which kicked off in Millennium Square, and took in the fantastic sights of the Avon Gorge and Clifton Suspension Bridge. Our Marketing Manager and charity expert, Imogen, who led the Warriors to victory (after months of coaching and harassment), described the experience as “tough but thoroughly rewarding”. Every year thousands of people in the UK experience homelessness and isolation. Caring in Bristol supports homeless and vulnerable people all year round in Bristol through effective, volunteer driven projects including Caring at Christmas and Bristol Nightstop. Great Scot – Fiona’s a winner! Scottish sales superstar Fiona Cowan (pictured, middle) is the proud recipient of Wildfire’s annual Sales Person of the Year award. Fiona only joined Wildfire last August. Since then she has smashed all her targets, brought in revenues comfortably exceeding £100K, been promoted to a Senior Sales Executive and proved herself to be a consummate professional in all aspects of her job. 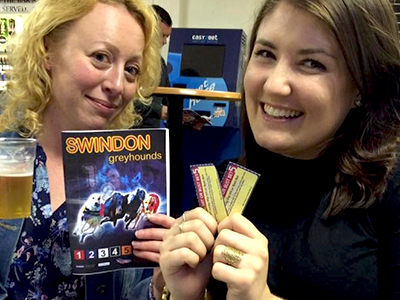 Wildfire took a trip to Swindon this month for a night out at the Greyhound racing stadium. As well as some food, drink and good conversation, the team splashed the cash on Swindon’s perfect pooches. Wildfire is proud to announce its new charity partnership with Caring in Bristol, a charitable company delivering vital support to homeless and vulnerable people all year round in Bristol. As experts in the education sector, we understand the importance of the wider picture and the need for a joined-up approach in achieving the longer-term strategy. 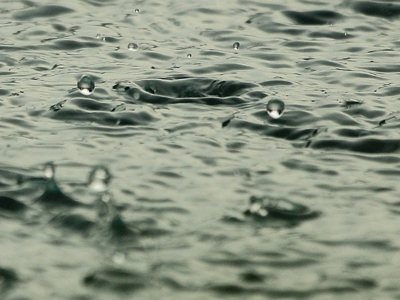 Caring in Bristol’s social action projects tackle the underlying causes of homelessness and deliver long-term benefits for the increasing number of homeless people in Bristol. And what better way to show our support for this fantastic charity than by teaming up for the Bristol 10K on Sunday 15th May to raise much-needed awareness and vital funds. Many of our team members are running novices, so please help coax them to the finish line by donating today: https://www.justgiving.com/Wildfire-Comms. 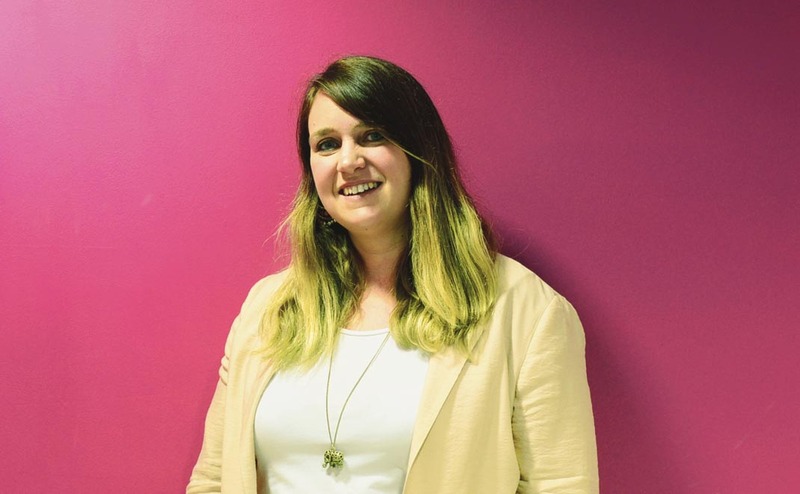 We’re delighted to announce there’s a new property queen in the Wildfire offices – Emma Dance has joined the Wildfire team as our new editor of Bristol Property Live. 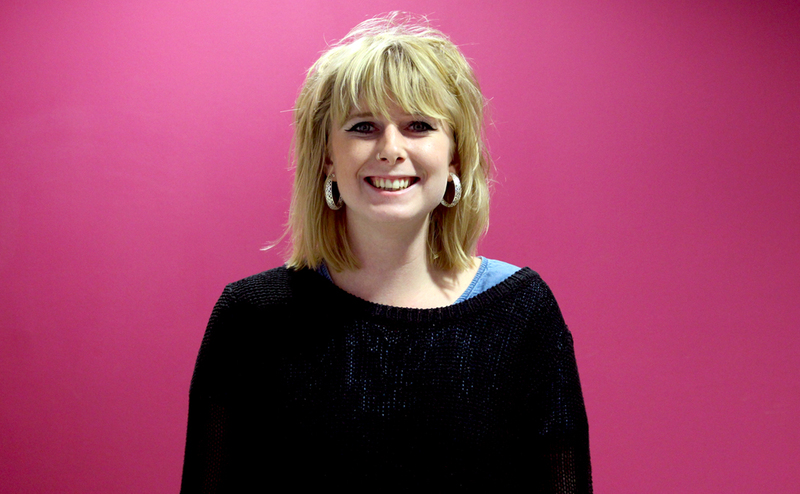 Emma has a wealth of experience in newspaper, lifestyle and food journalism and is already making a big impression. Visit www.bristolpropertylive.co.uk to find out more. 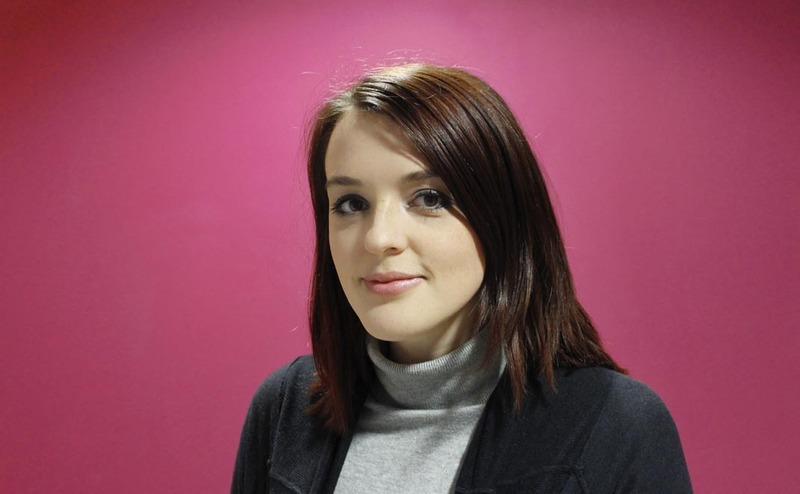 Education Technology, our leading magazine for the edtech sector, has a new account manager – Rachel Kelly. Rachel is set to be a great addition to Wildfire Comm’s Edhub commercial team. 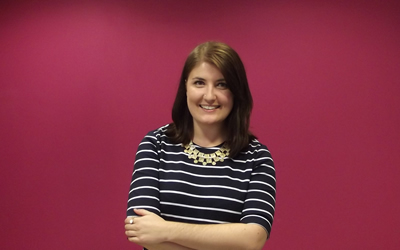 Whether managing print products or developing digital delights for clients, look out for Rachel at a technology event near you soon! Following the departure of Wildfire stalwart Adam Omar, we have appointed a new Marketing Manager to oversee subscriptions, communications and events for our education and lifestyle publications. 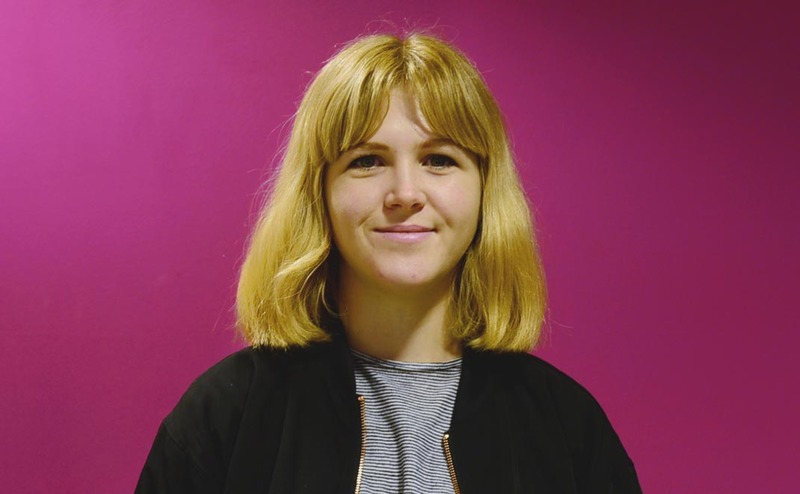 Comms whizz Imogen Smith joins us from the charity sector and is excited about growing our titles’ presence online, in print and at events. Welcome on board! We’re delighted to see our new-look Bristol Property Live paper out on the streets of Bristol this month. With a fresh, contemporary design for 2016 and exciting, revamped lifestyle content, the paper is packed with more top properties, restaurant reviews and homes and gardens advice than ever before – check out www.bristolpropertylive.co.uk to read the latest issue today or like us on Facebook at www.facebook.com/bristolpropertylive. 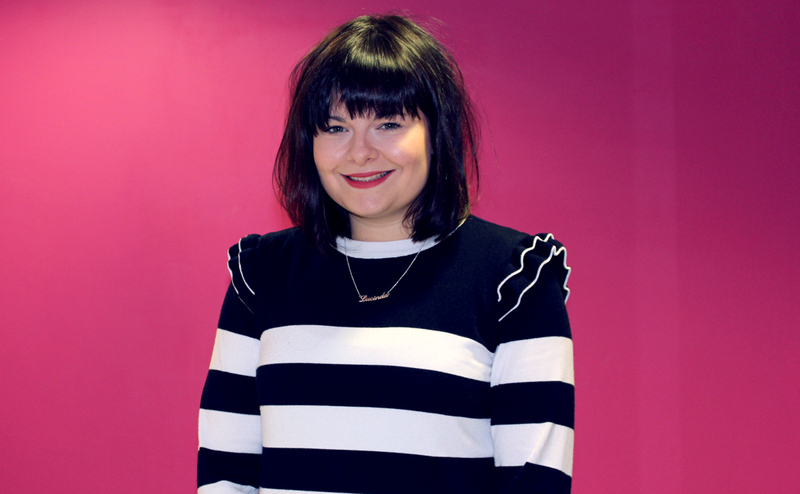 Wildfire is delighted to announce a new recruit to its talented sales team. Ed Brown has joined the company’s education hub to work on its flagship title University Business. With a background in media sales, Ed is well prepared to manage and grow the UB brand in print and online. When he’s not selling up a storm at the Wildfire office, Ed enjoys nothing more than relaxing with a round or two of golf. 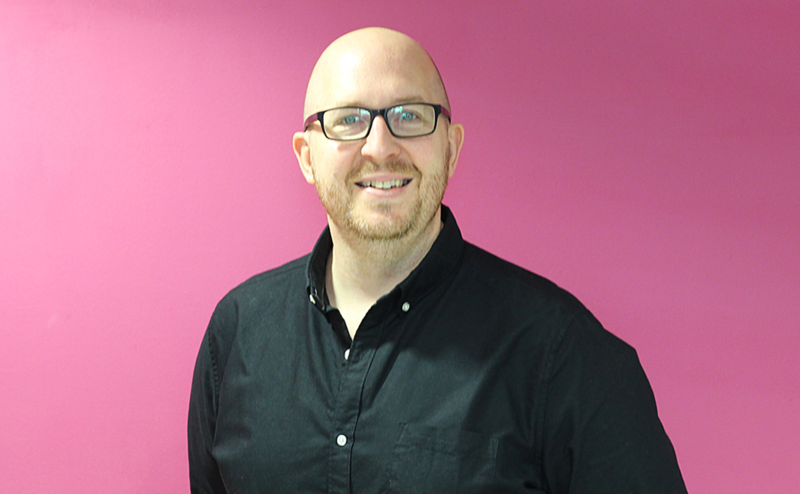 From all the Wildfire team, we’d like to wish Ed a very warm welcome. Wildfire’s flagship education title University Business scored a notable triumph recently with its inaugural Young Leaders Awards ceremony. Held at the Sheraton Park Lane Hotel, London, in November 2015, YLA celebrated the talent and achievements of under-30s in Britain’s Universities. The event attracted a glittering array of movers and shakers from the Higher Education sector. 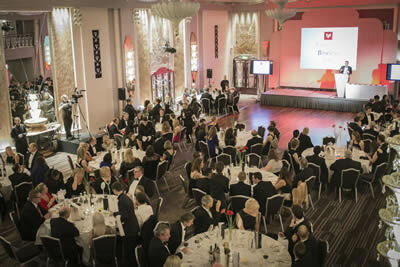 They witnessed a thrilling and emotional evening, as winners were announced from shortlists in a variety of categories. Congrats to all those at Wildfire who worked so hard to make the event such a resounding success. 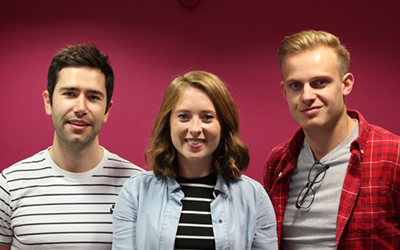 After a frantic round of interviews, Wildfire is delighted to announce the arrival of no less than three new recruits to its multi-talented sales force. Michael Keane (left) will be immersing himself in the world of Education Technology; Fiona Cowan (middle) graduates to flagship title University Business; and Joe Jordan-Richardson (right) will be our go-to guy at Independent Education Today, replacing the lovely Laura Burton who’s retiring from sales to become a full-time child carer. Good luck to Laura, and welcome on board to the newbies! 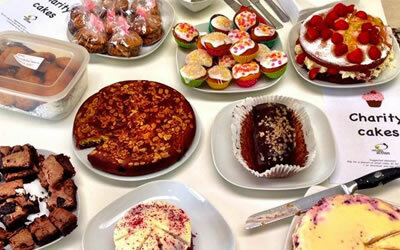 Wildfire hosted a brilliant bake-off at the beginning of the month to raise £140 for charity Refugee Action. Staff did their best Mary Berry impressions to produce frangipans, cheesecake, classic sponges, even peanut and bacon cookies. Stephen Hale, chief executive said: “Thank you, your gift will help families in crisis to live in dignity again." 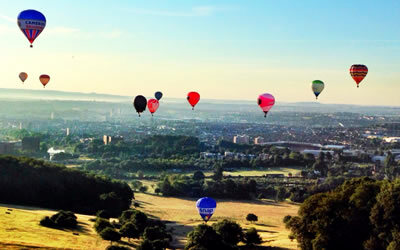 To celebrate the launch of the Bristol International Balloon Fiesta, Bristol Property Live took off on a private balloon ride. Rising up on a perfect Bristolian morning, Editor Charlie Lyon enjoyed some magical views of our beautiful city. 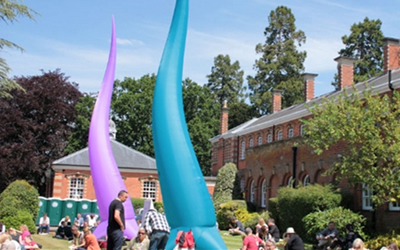 The Edquarter team visited Wellington College for the recent annual Sunday Times Festival of Education. We were treated to a generous side of sunshine to go with the excellent mix of speakers, exhibitors and festival atmosphere. This year’s programme featured a wide range of thought leadership from homework, schools improvement and research, to well-known figures discussing Shakespeare and MI5. We are pleased to announce that we have been awarded the opportunity to create the marketing mix for two new Bristol property developments in conjunction with Ellson Homes and Ocean Estate Agents.